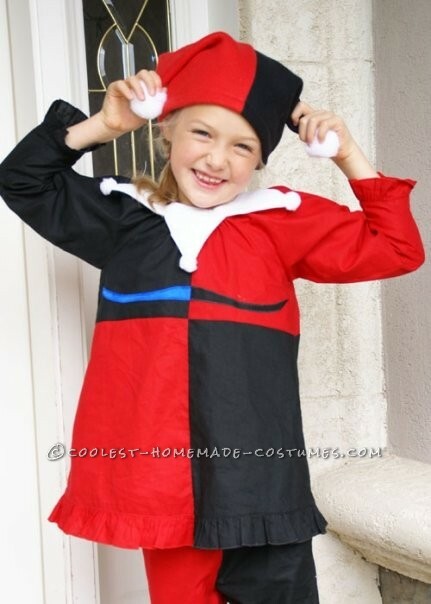 My daughter’s love for Lego Batman led to a request to be perky villaness Harley Quinn for Halloween. 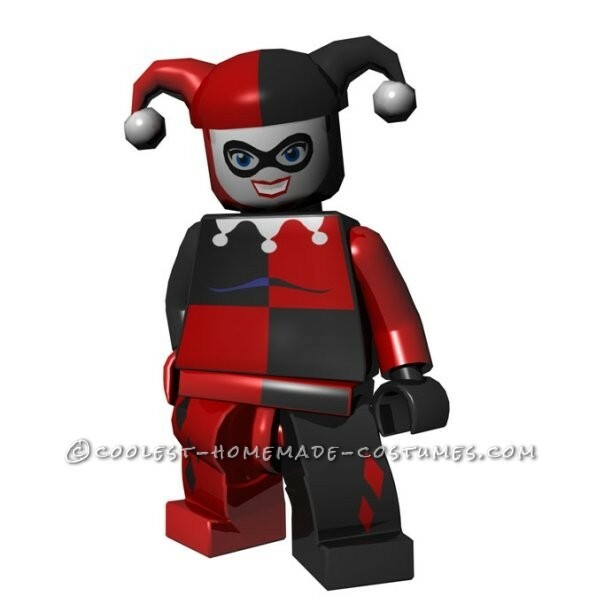 To create this girl’s Harley Quinn costume Minifigure style, I modified a few sewing pattern to suit my needs. The pants were easy, used a simple elastic waist lounge type pants and made one leg red, one leg black. The diamonds on the pant leg were appliqued on. I just drafted a diamond in a medium size then enlarged and shrunk on my copier printer to get the shapes I wanted. I added ruffles to the pant and shirt because we like to girly things up! The top was drafted from a simple peasant top pattern. I just folded it in half to make the two different sides and added a seam allowance for the center seam. For the shirt decoration I drafted a pattern similar to the one on Lego Harley Quinn’s shirt and also appliqued this on. Hat was made of fleece and I just used a jester ski hat pattern I found in a pattern book. Jester collar was the trickiest, I ended up drafting my own pattern created by overlapping triangles into a circle collar pattern. It buttons in the back and is separate from the top. Jester collar was created out of felt. How original! 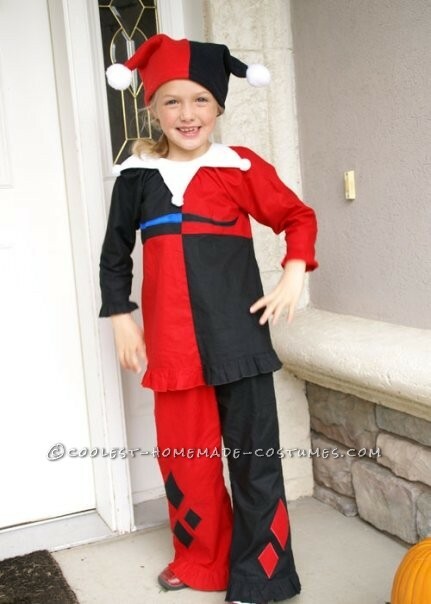 And finally a long sleeve costume that kids can actually wear on Halloween!